Description: By April 1864, Maj.
Gen. Nathaniel P. Banks’s Red River Expedition had advanced about 150 miles up Red River. Maj. Gen. Richard Taylor, commander of the Confederate forces in the area, decided, without any instructions from his commander Gen. E. Kirby Smith, that it was time to try and stem this Union drive. Taylor gained a victory at Mansfield on April 8. Banks withdrew from that battlefield to Pleasant Hill, but he knew that fighting would resume the next day. Early on the 9th, Taylor’s reinforced forces marched toward Pleasant Hill in the hopes of finishing the destruction of the Union force. Although outnumbered, Taylor felt that the Union army would be timid after Mansfield and that an audacious, well-coordinated attack would be successful. 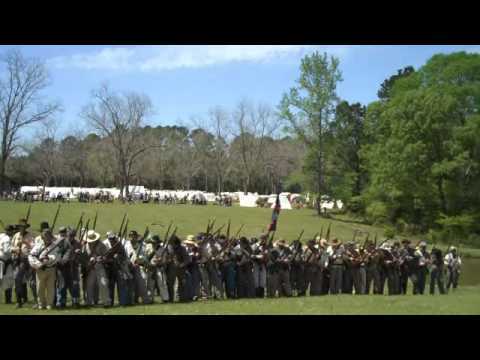 The Confederates closed up, rested for a few hours, and then attacked at 5:00 pm. Taylor planned to send a force to assail the Union front while he rolled up the left flank and moved his cavalry around the right flank to cut the escape route. The attack on the Union left flank, under the command of Brig. Gen. Thomas J. Churchill, succeeded in sending those enemy troops fleeing for safety. Churchill ordered his men ahead, intending to attack the Union center from the rear. Union troops, however, discerned the danger and hit Churchill’s right flank, forcing a retreat. Pleasant Hill was the last major battle, in terms of numbers of men involved, of the Louisiana phase of the Red River Campaign. 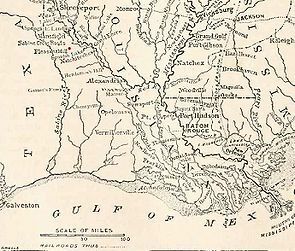 Although Banks won this battle, he retreated, wishing to get his army out of west Louisiana before any greater calamity occurred. 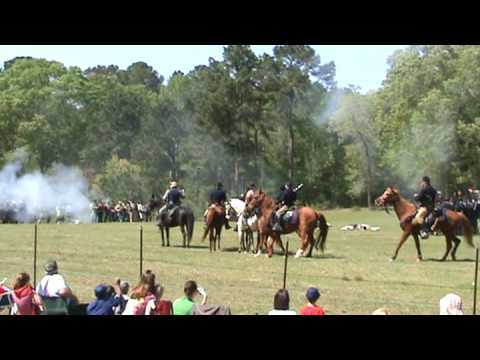 The battles of Mansfield and Pleasant Hill jointly (although the former was much more decisive) influenced Banks to forget his objective of capturing Shreveport. The Battle of Pleasant Hill was fought on April 9, 1864, during the Red River Campaign of the American Civil War, near Pleasant Hill, Louisiana, between Union forces led by Maj. Gen. Nathaniel P. Banks and Confederate forces, led by Maj. Gen. Richard Taylor. The battle was essentially a continuation of the previous day's Battle of Mansfield, fought nearby, which ended around sunset due to darkness — night time provided a brief interlude in hostilities. On April 9, Taylor launched an ambitious assault against the newly reinforced Federals at Pleasant Hill and had the upper hand before Brig. Gen. Thomas J. Churchill's Arkansas division was flanked on its right and repulsed. 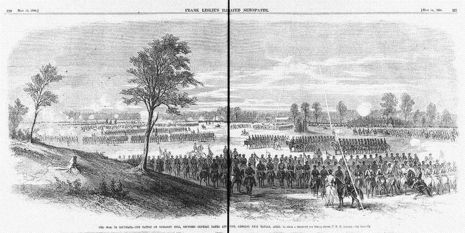 After the battle, the Federals remained demoralized and unconfident in their commander — they retreated to Grand Ecore, and from there to Alexandria. Officially, the battle was a Union victory — as the Confederates were successfully driven from the field. However, because Banks and his army had retreated so soon afterwards, many argued over who had really won.